So I finally signed up for Twitter (ealbrycht). Given how difficult I am finding it to blog consistently, I thought I'd give micro-blogging (or whatever you want to call it) a whirl. Of course, I am not sure if this is going to fly - there will probably be far more baby-related info than you are interested in (Ellora has had her first fever, is she teething? I sang Itsy Bitsy Spider for the 4,689th time, etc.). This in between Gilles Deleuze/Felix Guattari (Anti-Oedipus - interesting reading; "guide to anti-fascist living") and Nietzsche's Birth of Tragedy (is the net Dionysian??) Plus giving advice to a student who is going to write her "memoire" on social computing and enterprises, preparing a seminar topic, etc. etc. And I am still looking for that perfect job. So, for those of you who care, follow along! Let's see how it goes. Update: Signed up for Tumblelogging as well. Here is my page. Still need to add to my blog page, but that is for later. Fall is my favorite season, and seems like the ideal time to make some big changes in my life. 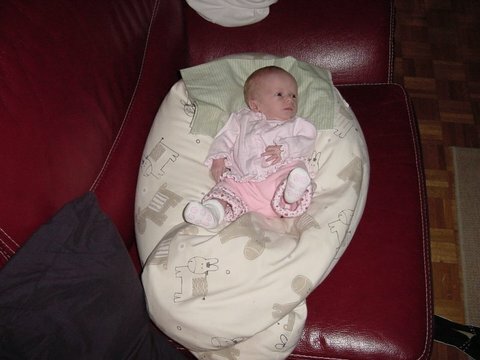 As many of you know, I had a baby girl 8 months ago (!). After much thought, I have decided it is best for my family to seek a full-time position here in Paris. I used to travel every few weeks, especially to the US. But now I'd like to minimize long-distance travel (luckily most European capitals are a day trip away). Another big reason I am seeking to re-enter more traditional employment is that I want to design and implement strategic communications programs. I have done plenty of designing, but not much implementing, as a consultant, and I miss getting down in the trenches. But what about teaching, many of you ask who know that I have been interesting in entering academia? Happily, I can do both, as I am starting to lecture at ISCOM (Institut Superieur de Communication) here in Paris (both in French and English) this fall, teaching a few classes on high technology use in PR as well as how to respond to RFPs in English. This isn't a full-time gig, but enables me to teach, which I love, while I keep up to speed on the rapidly changing world of public relations from the inside. (Most of the teachers at this school are professionals who teach a couple of classes). I am also involved in the education committee for the Society for New Communications Research, and helping to design university course curriculums for PR and social media, among other things. So, if you are seeking a senior level PR/Communications professional in Paris, France, please drop me a line (ealbrycht at gmail dot com) (I have already started interviewing). I'll certainly keep you all up to date on what happens. I am happy to announce the birth of my beautiful daughter, Ellora Mary. Ellora was born on January 22 at a hospital just outside Paris, France, and she can cry in two languages already. We had some challenges leading up to Ellora's birth, thus the quietness on my blog. I am happy to say, however, that all is well now, and Ellora is a healthy, fast-growing, strong little girl. I am recovering well also. I am going to try to resume posting at least once a week, as I miss all my friends and the hubbub of the blogosphere. I have much to catch up on. What do you think have been the most significant things to happen over the past three months or so? I can't think of a more beautiful place to go to school than Saas Fee. I wake up and see this from my balcony. 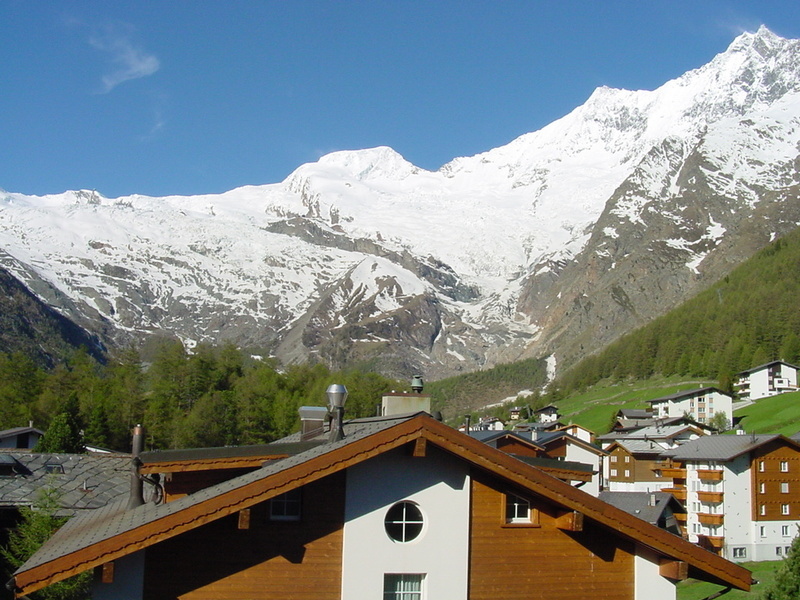 In a little more than a month, I'll be heading off to Saas Fee, Switzerland, to go to school. This is my first summer residency in the Master's in Media and Communications program at the European Graduate School. The lineup of instructors is simply mind-boggling: Paul Miller, a.k.a. DJ Spooky, that Subliminal Kid, Martin Hielscher, Michel Houellebecq, Sandy Stone, Carl Mitcham, Bruce Sterling and the Quay Brothers. I am spending a great deal of time preparing for the trip, basically reading reading reading. (Most of the books you see on my recent reading list (at least the top 15 or so) are assigned in preparation for this.) That is why the blogging has been, and will continue to be, light. One of the books I just finished for class (assigned by Sterling), Everyware: The dawning age of ubiquitous computing, is simply fantastic. The author is Adam Greenfield, and I'll be writing a fuller review of the book for the New Communications Review at the end of the month. This is one of those deceptively simple books that will start -- and keep -- you thinking. I, for one, read it in about a day and a half and haven't been able to stop reacting to it at the oddest moments, as it makes you think about your life's activities, the news, and so on in new and different ways. I hope to snag Adam for an interview, which I'll publish with the review if I am so lucky. In the meantime, I'll keep posting about once a week (except when I am onsite in Saas Fee, I suspect). I have also started the planning process for a weekly podcast (finally, I am going to take the leap!) that will start up in the fall; sooner if I have the time. It won't be a talk-show/interview format, but rather comprise short-form (and I mean short!) opinions/mini-lectures by yours truly about theory, strategy etc., which will hopefully prove inspirational in your daily jobs. Stay tuned for more detail there! I just returned from a fabulous nearly two-week vacation in Cambodia. This was my first trip to Asia, as well as my first trip to a developing country, and as such it was quite an educational experience! We visited Battambang (the second-largest city in the country), Phnom Penh, Kep and Siem Reap, where the temples of Angkor are located. As we traveled across the country by taxi, boat, tuk tuk and moto-dop, we kept remarking to each other: This is a country with huge potential. The people are friendly, the coast is simply gorgeous, the food is delicious and the cultural heritage in form of many temples widespread. Of course, there are things to get used to (dust, dirt, trash in the villages, lack of electricity and hot water in Kep (but it is coming soon! ), lack of potable running water (but everyone sells bottles) bugs, heat and humidity), but the benefits far outweigh the discomforts. And everywhere you go, they are building building building. Tourists abound in Phnom Penh and Siem Reap, but once you get outside those places, they appear only in small numbers. In the villages, the little kids wave, smile and say "hello" to you as you pass by. There are signs everywhere of the tragedies of the late 20th century, from abandoned villas to demining crews, to people with no hands and feet. The killing fields are now tourist destinations, and many people are happy to tell you their rather gruesome stories for a few riel. It is a bit disconcerting to realize that the government hasn't really dealt with this past, and the former Khmer Rouge live side-by-side with their victims. And, in fact, many of them became victims themselves. Overall, I would highly recommend anyone to visit there. We did not go with an organized tour group, and if you don't want to do a lot of negotiating at taxi stands among mobs of drivers, you might want to go the more organized route. I admit to some second thoughts as we negotiated the border crossing from Thailand (we flew into Bangkok and took a 3-hr taxi ride to the border) to Cambodia at Poipet (first time I walked across a country border!). But if you are willing to risk a bit of adventure, heading off on your own is perfectly safe and a great deal of fun. Be prepared for everything to take longer than you expect however. Sometimes the negotiations for the taxi took nearly an hour as we negotiated in three languages (English, French and Khmer). I'll post some pictures on Flickr in the near future and will give you the link when I do so. I am heading off on vacation tomorrow for the holidays, and, for this one, I am completely off the grid. No email, no voicemail, no blogging. Just rejuvenation! I wish you a Merry Christmas -- or whatever holiday you celebrate. And, of course, a Happy New Year! This is great. deSmogBlog: Debate debunk decide. One PR person is fed up at PR behavior in undermining the science of climate change. He has decided to become a PR activist against the PRs advocating against facts of climate change. Most excellent. Annoyance. I have often stood up to criticize sleazy and misleading PR campaigns in the past. I find it irksome to see people getting away with spreading disinformation and refusing to take responsibility, and I think it reflects badly on my industry. That said; this is a bigger issue than any I have tackled previously, and a more public forum. Off topic, but I have to share. My sister Sarah just finished her first marathon! She ran the Marine Corps Marathon yesterday.